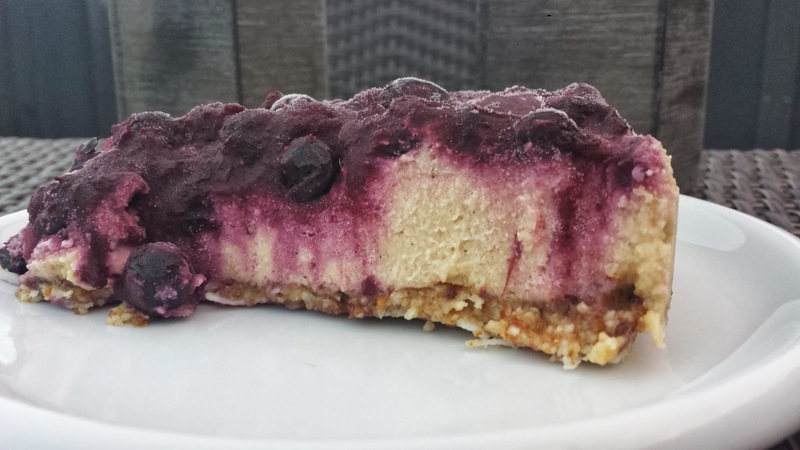 For my last birthday, Trevor got me a lovely raw berry cheesecake from a local 'unbakery', which was yummy but I questioned the very high price tag. This set the wheels in motion for some experimentation so I could produce one for his birthday which also falls on Xmas Day so it needed to be enjoyed by all. It's a pity I didn't take photos of all the trial ones (for some reason I'm doing a lot of cooking at the moment but forgetting to take pixs!) but here's the final version. 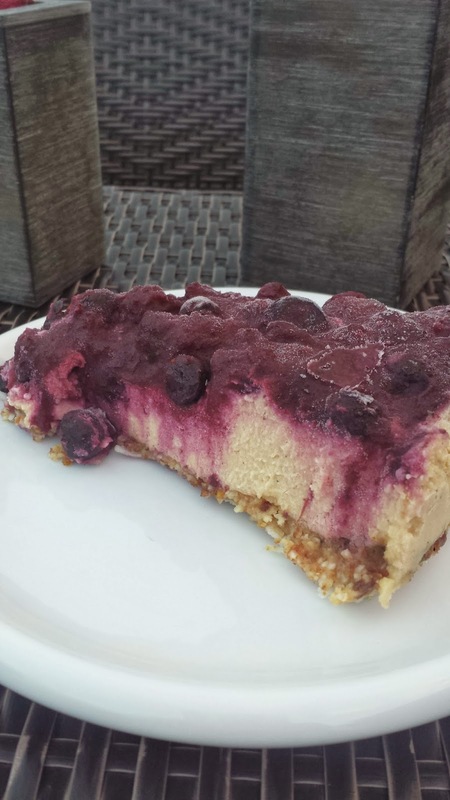 They are easy to make as there is no cooking involved however there is some prepping but the final product is a healthy, delicious cheesecake that I'll be making again and again and...well I'm sure you get the picture. springform tin with coconut oil and sprinkle over some shredded coconut so it coats the base & sides. This helps to prevent the cake sticking. Or you can line with baking paper however I like the texture the coconut adds. Place the nuts, rest of the coconut & pinch of salt in a food processor & process until they are crumbly then add the dates & continue processing until well mixed. Press into the base of your tin and pop into the freezer while you prepare the next layer. To make filling, pop into the food processor (I didn't bother washing mine out) process all the ingredients until smooth then pour mixture over the base and return to freezer while you make the topping. To make the berry sauce topping: stir berries, water & dates together in a saucepan and bring to a boil. Reduce heat to medium-low and simmer until the berries begin to pop and the syrup thickens, about 10 minutes. Let cool then pour over the cheesecake and return to freezer for at least 4 hours or overnight. To serve: you can either slice off what you want & leave the rest of the cheesecake in the freezer or take the whole cheesecake out & let it defrost for around 1/2 hour. Ditto with the slices as well, you need to bring to room temperature before digging in. Enjoy!